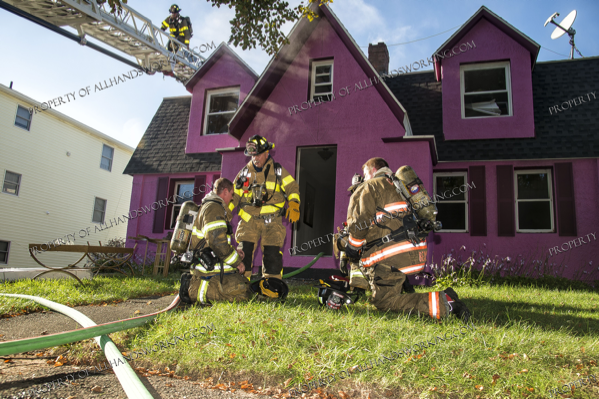 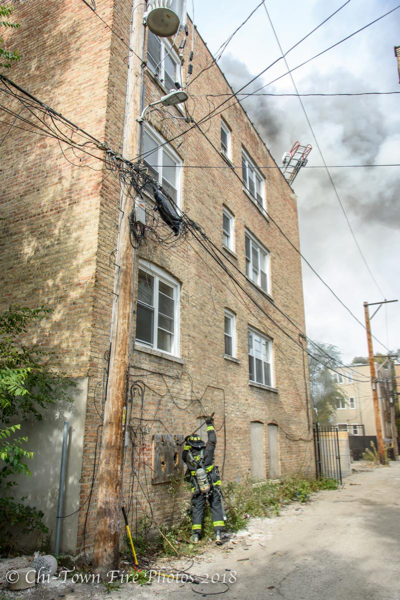 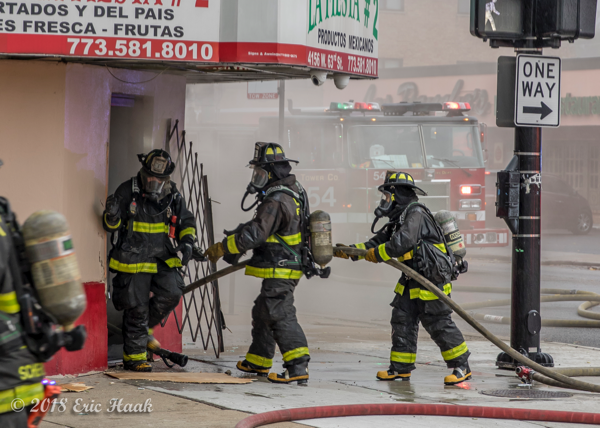 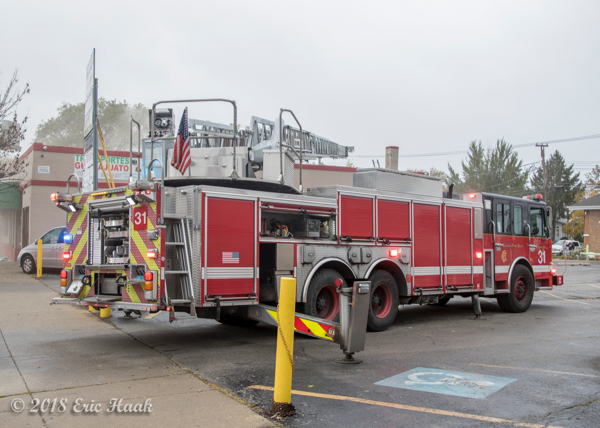 A very short Still & Box Alarm on Sunday afternoon (10/28) in Chicago at 4156 W. 63rd Street. 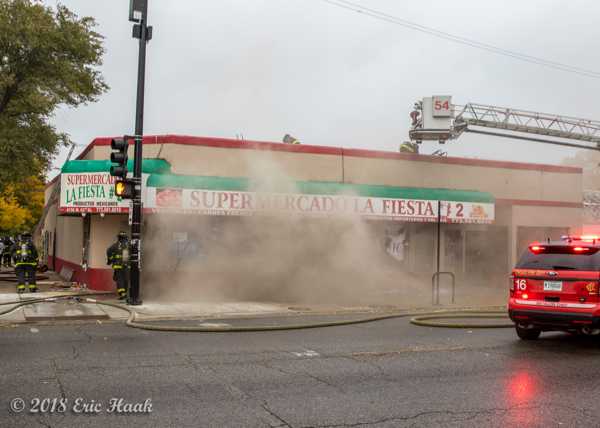 The fire was in a 1-story grocery store that was closed for the day. 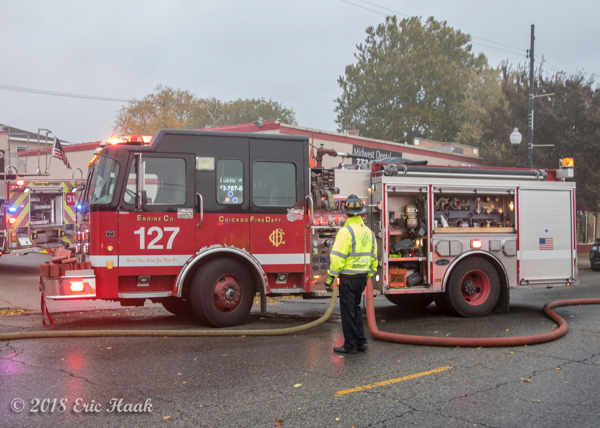 E127 landed first. 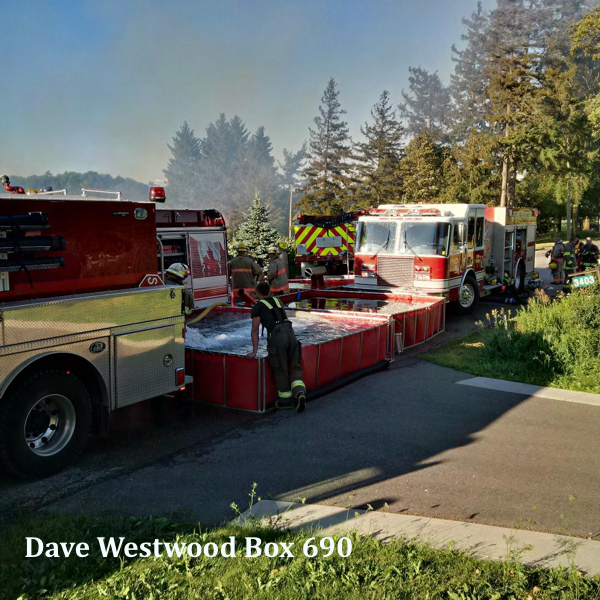 The first picture was taken about 2 minutes before the box was requested. 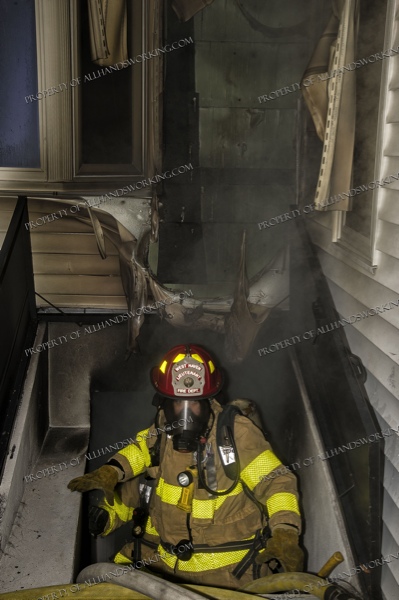 B16 reported that he had some fire in the basement with access issues. 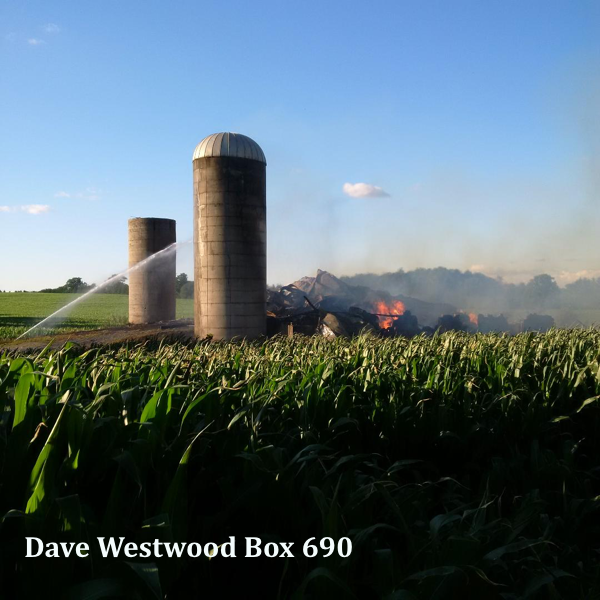 Needless to say, the Still and Box was not in very long. 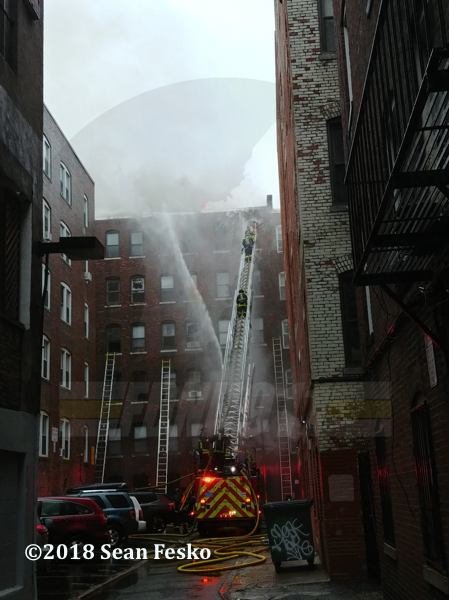 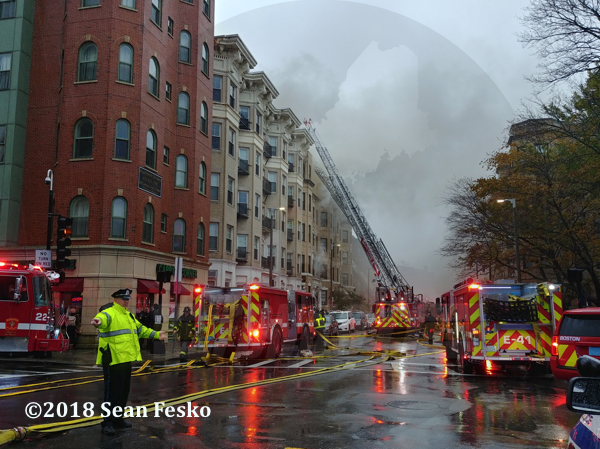 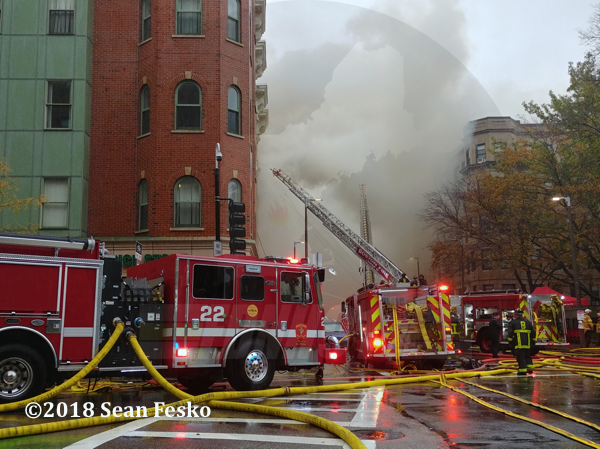 On 10/27/2018, the Boston Fire Department received calls for a reported building fire in the Back Bay neighborhood of the city. 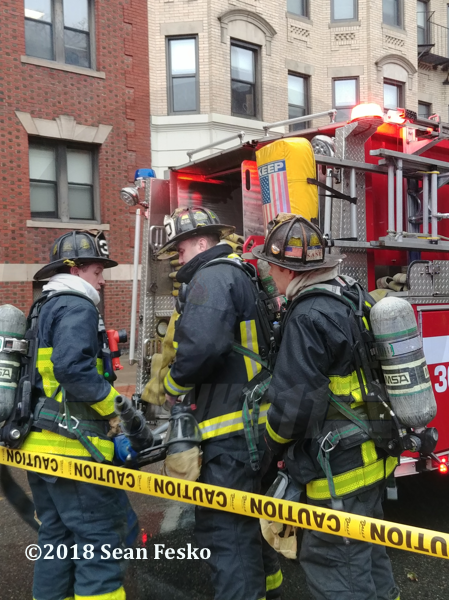 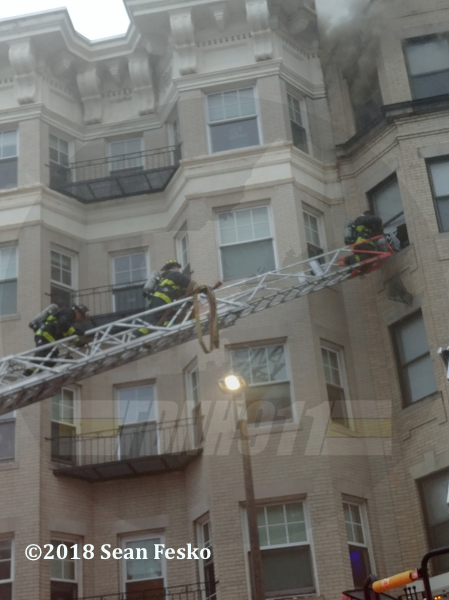 First-due companies had fire showing in a five-story apartment building, with people trapped on the top floors. 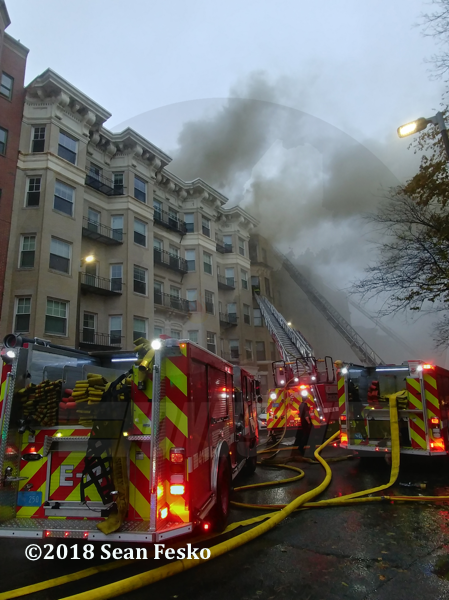 Two additional alarms were quickly struck by the IC, followed by four more as the fire progressed. 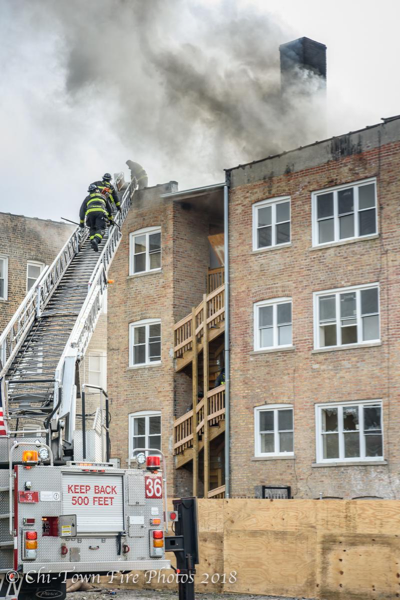 The apartments largely housed students from area colleges, and was a total loss with damage in the millions of dollars. 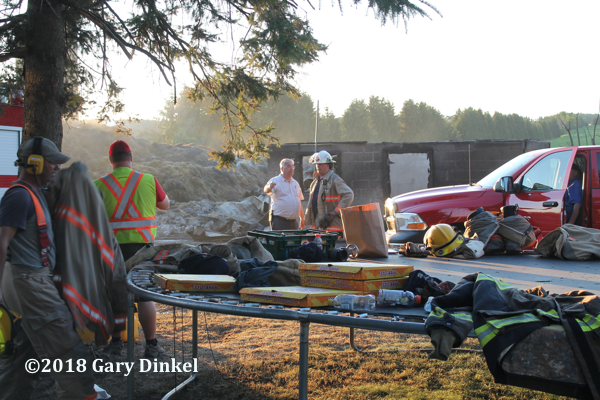 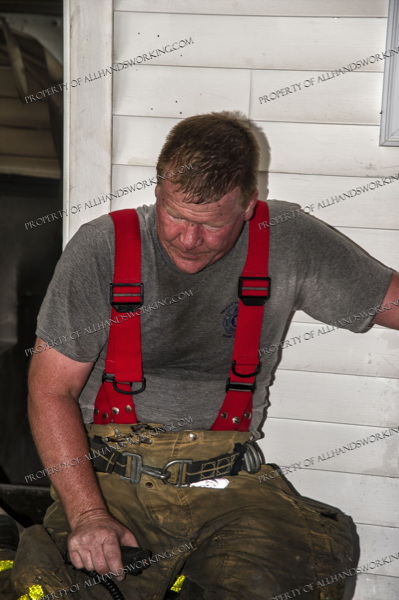 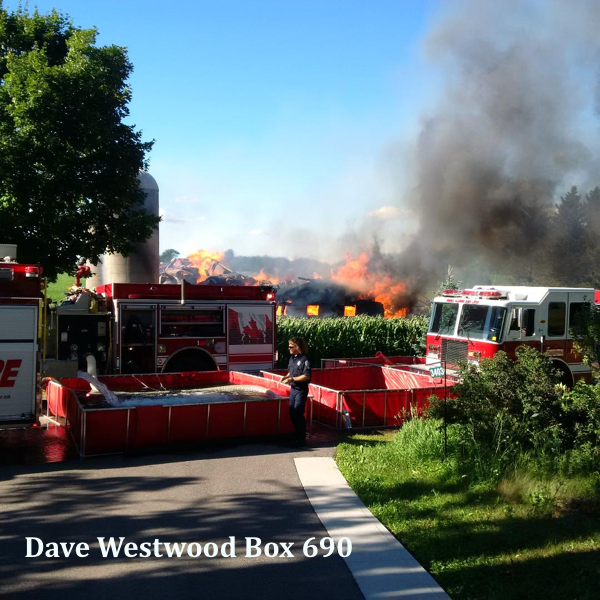 Cambridge Fire Dispatch toned out North Dumfries Fire, Ayr Station for a confirmed barn fire at 3384 Roseville Road July 17 at 17:20. 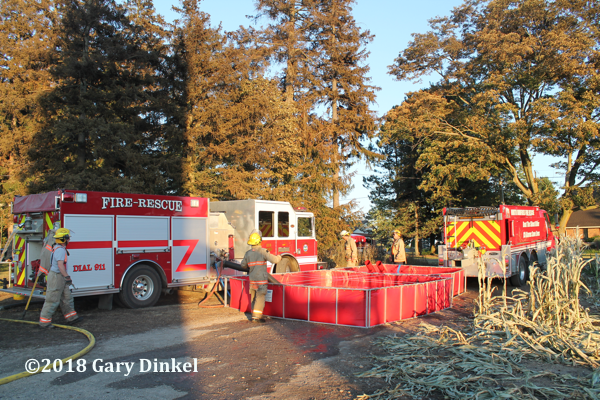 Ayr responded with two 1,250-US-gallon pumpers, two 3,000-US-gallon tankers, and a rescue truck. 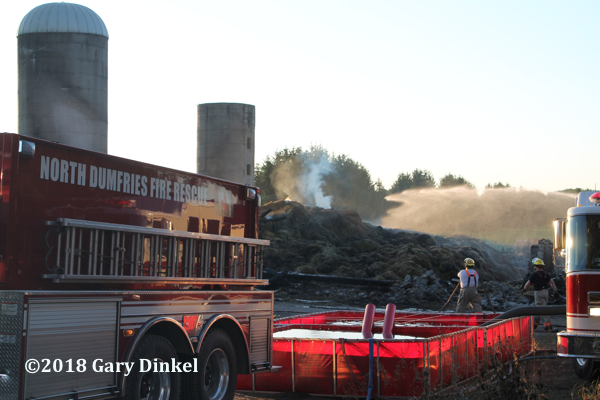 Enroute to the fire they requested mutual aid tankers from New Dundee (3,000-US-gallons) and Kitchener (2,500-US-gallons). 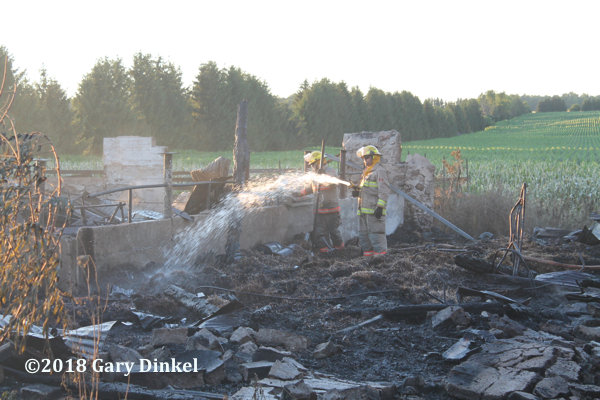 The barn was fully involved on arrival with two exposures; a house and a small driving shed to protect. 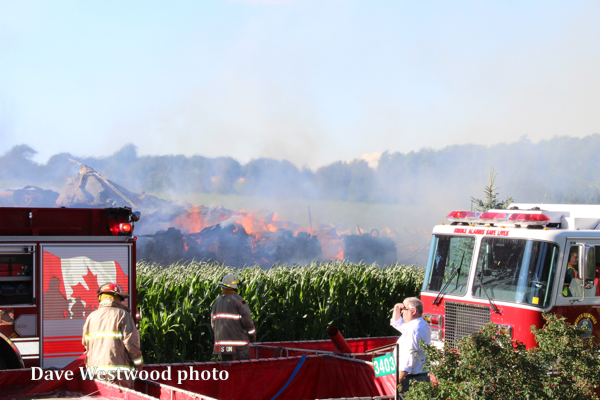 The owner of the barn had just filled it with hundreds of bales of hay. 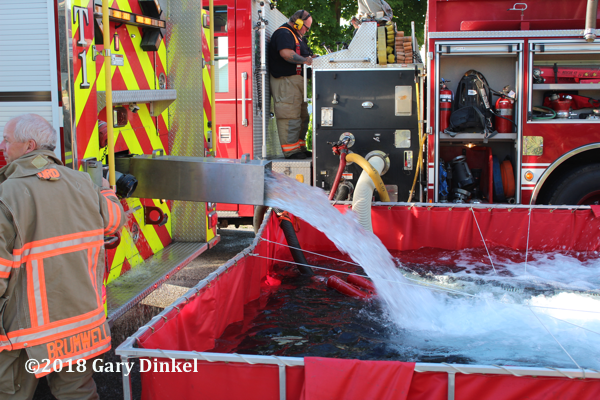 Port-a-tanks were set up on the road and water was shuttled from a hydrant in Ayr approximately three miles from the scene. 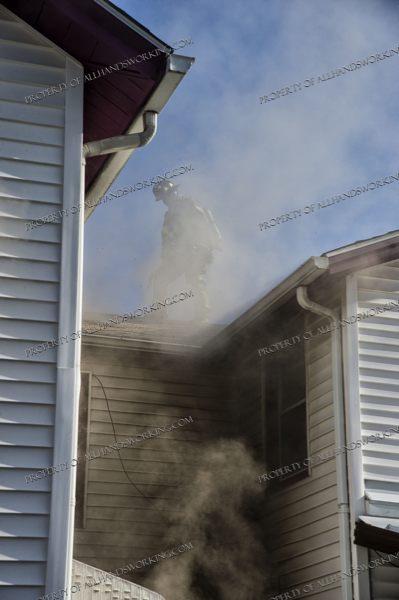 Firefighters were able to protect the exposures. 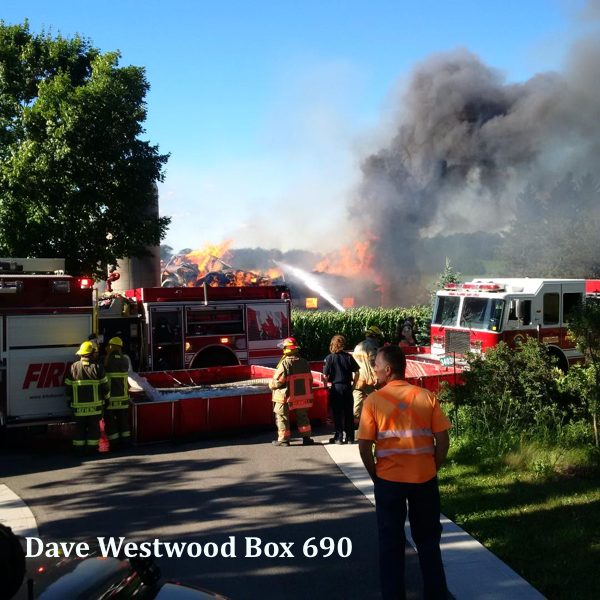 Mutual aid tankers were released around 22:00 hours but Ayr had crews on scene until 22:00 the following night. 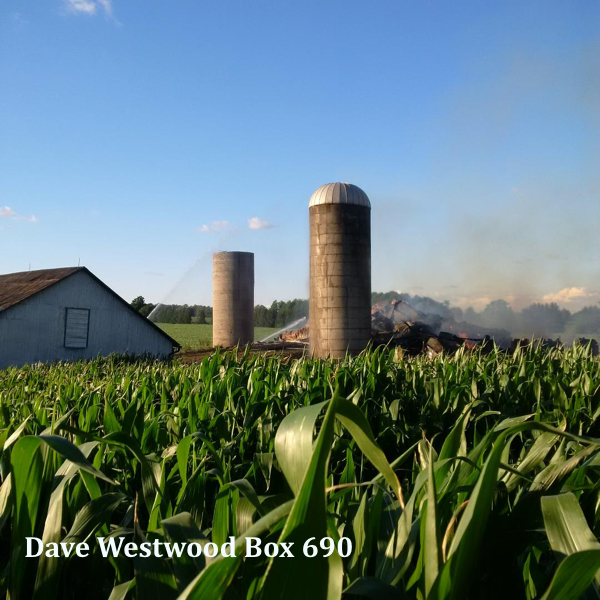 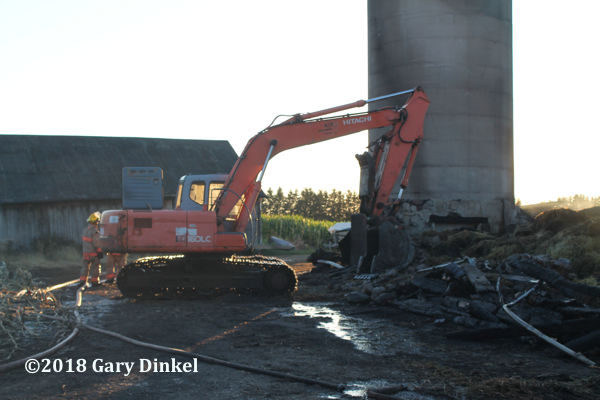 They also responded back to the call almost daily to hose down hot spots until the hay was trucked away 11 days later and buried at a nearby farm. 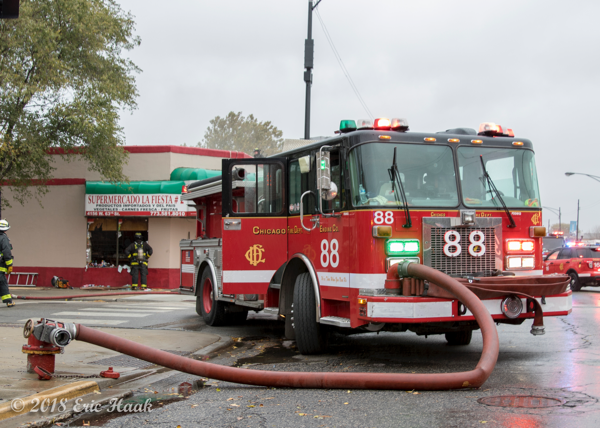 Box 690 provided rehab, serving two dinners, breakfast, and dropping in on a few of the daily returns to the scene. 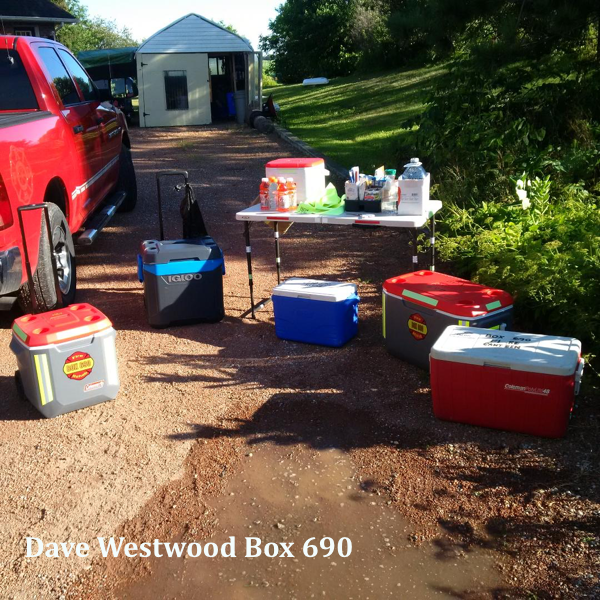 Firefighters consumed 200 drinks and 184 snack items the first night, a very hot and muggy evening. 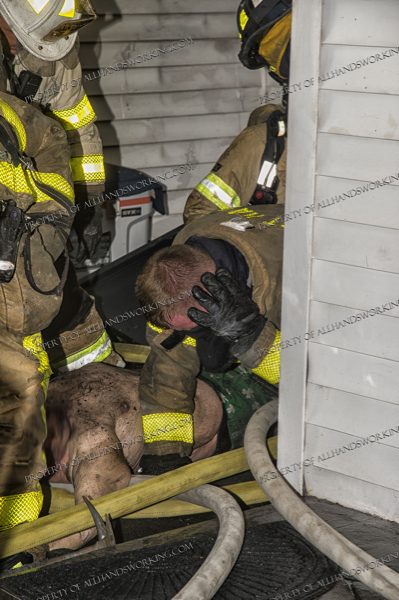 First night photos taken by Box 690 member Dave Westwood, approximately a half hour into the call. 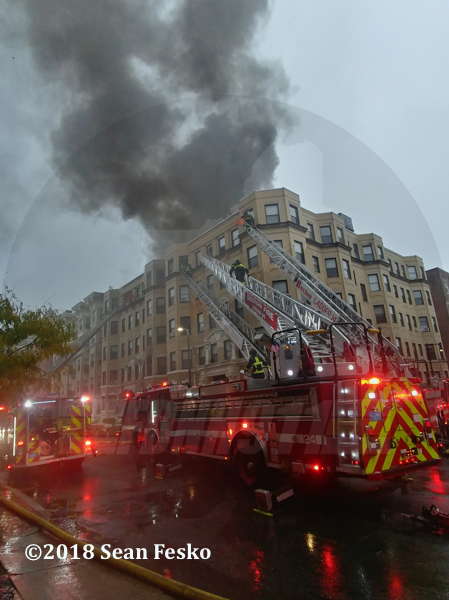 My shots were taken the next evening around 20:00. 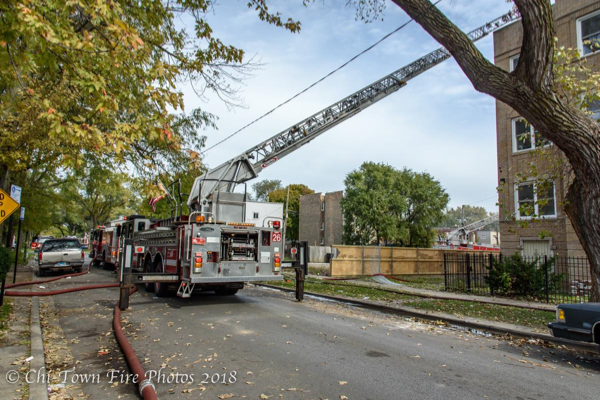 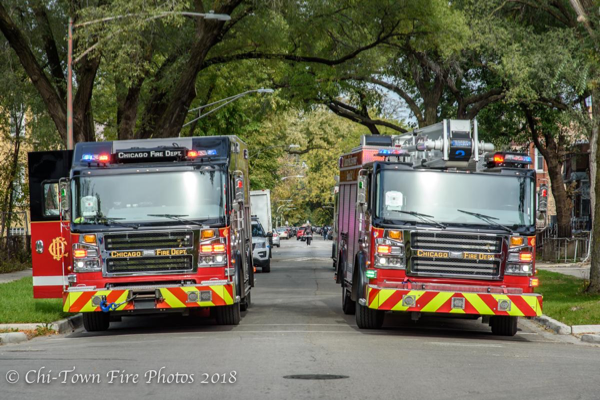 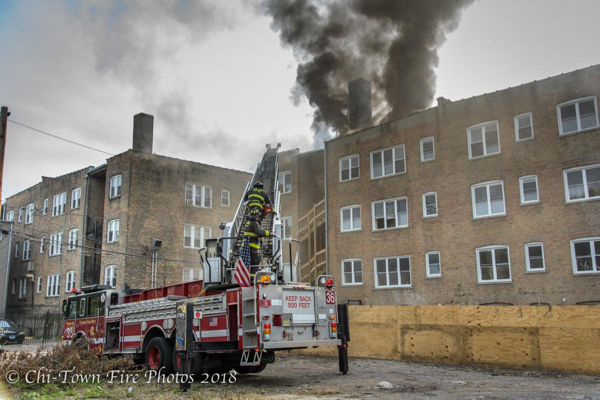 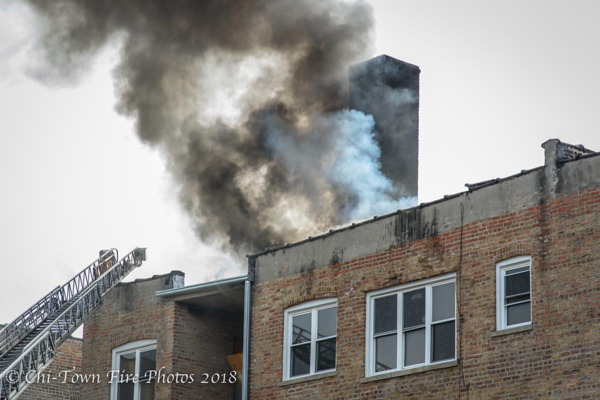 The Main Fire Alarm Office gave Chicago’s 18th Battalion a still @ 635 N Springfield Thursday afternoon 10/25/18. 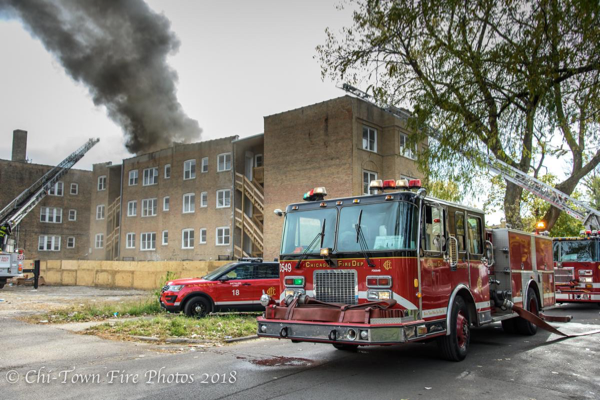 A 3-sty, large, vacant apartment building under rehab with fire on the 3rd floor and thru the roof. 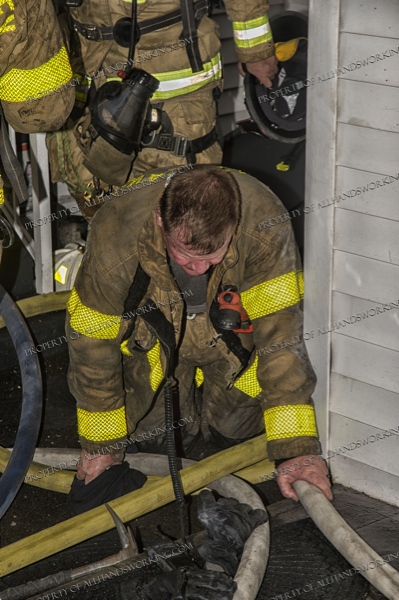 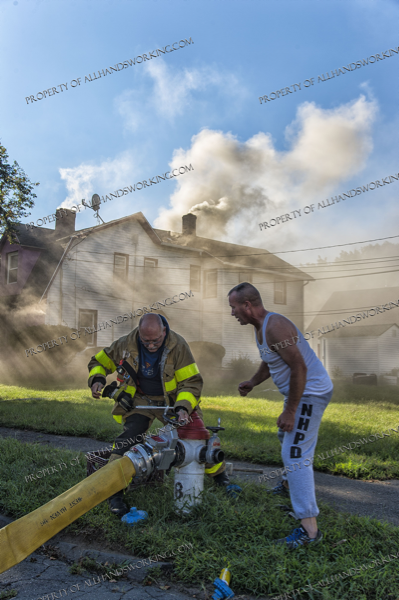 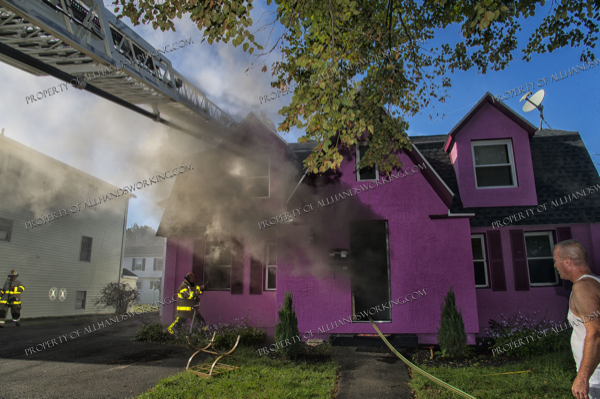 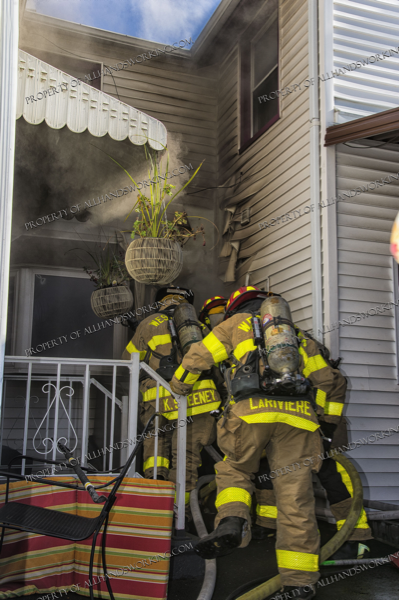 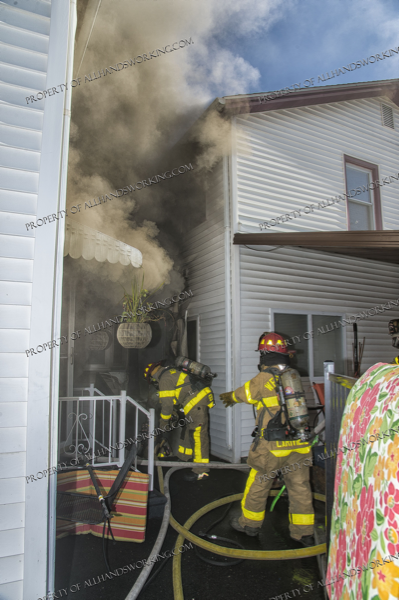 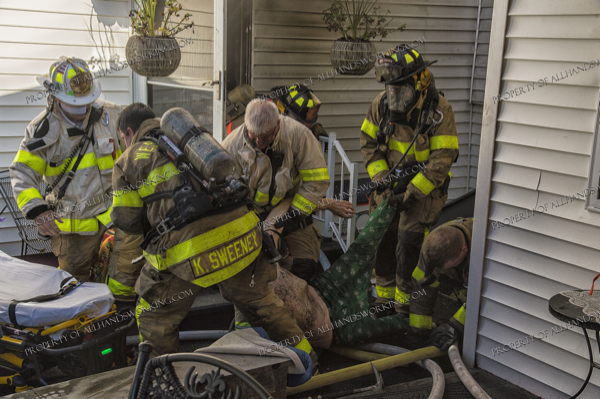 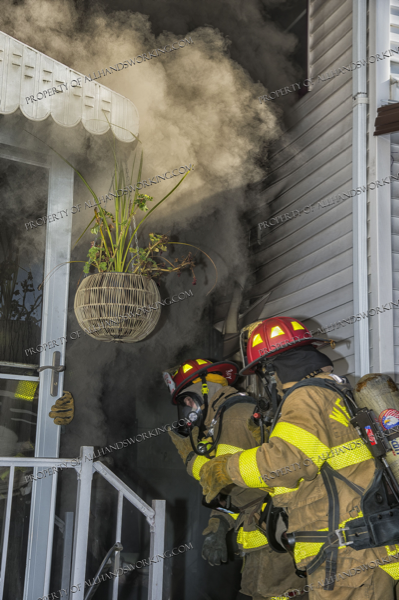 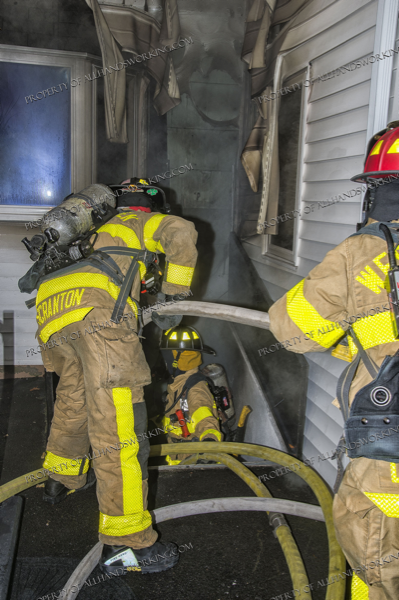 Three lines were lead out and the companies made a quick aggressive attack.